A peerless collection of romantic tales from one of our best-known and beloved historical novelists. Affairs of honour between bucks and blades, rakes and rascals; and affairs of the heart between heirs and orphans, beauties and bachelors; romance, intrigue, escapades and duels at dawn: all the gallantry, villainy and elegance of the age that Georgette Heyer has so triumphantly made her own are exquisitely revived in these eleven stories of the Regency. 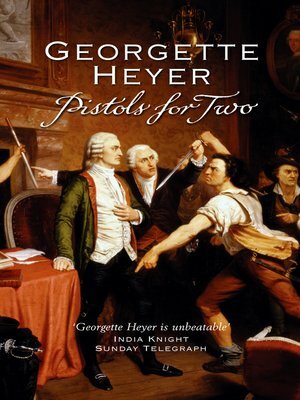 Georgette Heyer's historical accuracy and eye for a wonderful story of romance is unequalled, and in Pistols For Two we can see the skills which won her a devoted audience that continues to this day.